Part of being qualified to purchase Las Vegas real estate or sell to someone who is qualified is to make sure you (they) can pay for the property. Most buyers will be leveraging their finances by securing a loan to finance the purchase. Finding the right Las Vegas lender is an absolute must or your transaction is at great risk. Part of being qualified to purchase Las Vegas real estate or sell to someone who is qualified is to make sure you (they) can pay for the property. Most Las Vegas buyers will be leveraging their finances by securing a loan to finance the purchase. Finding the right Las Vegas lender is an absolute must or your transaction is at great risk. If there is one part of a real estate transaction that can get sticky and eventually kill a deal it is the financing. It is easy to find a home. The right agent will help you negotiate the terms. However, it is not as easy to line up the funds. It would shock many people to learn how often a transaction falls apart because the lender or person securing the financing could not get his/her job done. Without question make sure your lender can perform and fulfill the commitment to get a great loan for your situation. 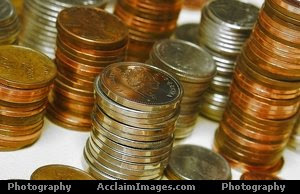 Fees for a great lender will depend on your credit, how well you know the lender, etc. You will likely pay 2-3% of the overall sales price to acquire the loan. It is a great idea to find a lender you like and get pre-qualified before looking for a property. If your real estate agent is savvy he/she will require you to be pre-qualified before beginning the search. A great seller's agent will also investigate the buyers qualification when an offer is made. Contact us below. We can refer a great Las Vegas lender to you.